The trend towards lower inflation rates is unlikely to end in massive global deflation. There may be a risk in the euro zone, but most disinflation is a healthy response to falls in oil and commodity prices. Consumers and growth will benefit. Policymakers shouldn’t panic. A worker fills a tank with subsidized fuel at a fuel station in Jakarta. 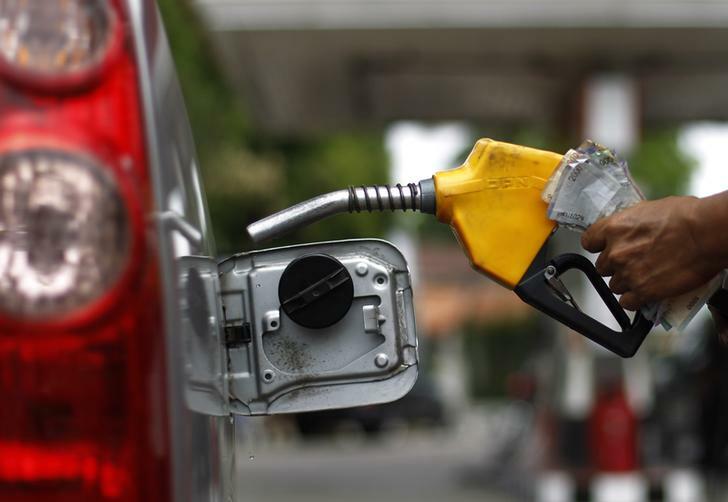 The average price for a gallon of gasoline in the United States fell in the last three weeks, according to the Lundberg survey released on Nov. 10. Gasoline prices have been decreasing steadily since early September. They fell by 14.57 cents per gallon over the past three weeks, bringing the average cost to about $3.22 on Nov 8. That was 32.83 cents lower than a year earlier, based on a survey of some 2,500 retail stations in the 48 contiguous states. “Crude oil is the essential cause of this lower price,” survey editor Trilby Lundberg said.